After the opening of their first restaurant at Nex Shopping Centre, the Michelin Bib Gourmand 2018 and 2019 awardee - Go-Ang Pratunam Chicken Rice has opened its second outlet at Vivocity. 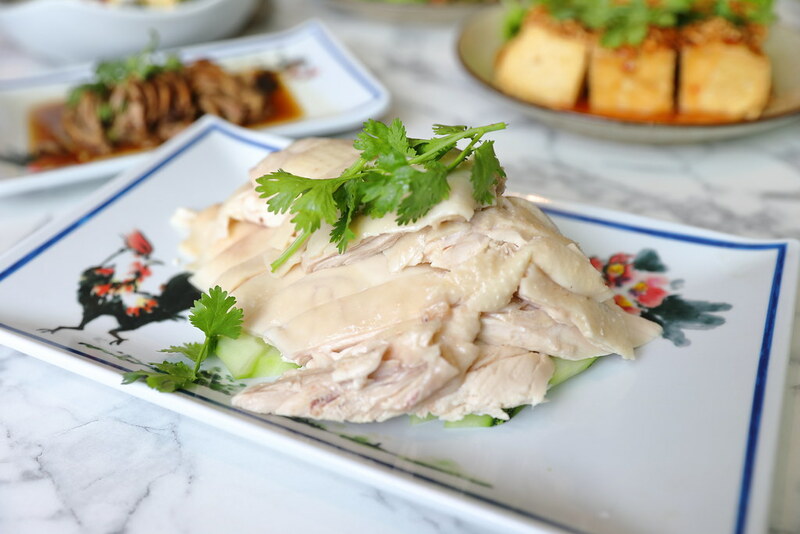 Besides the chicken rice, the restaurant also offers a communal dining experience with selection of soups, braised pork, cooked dishes and desserts. 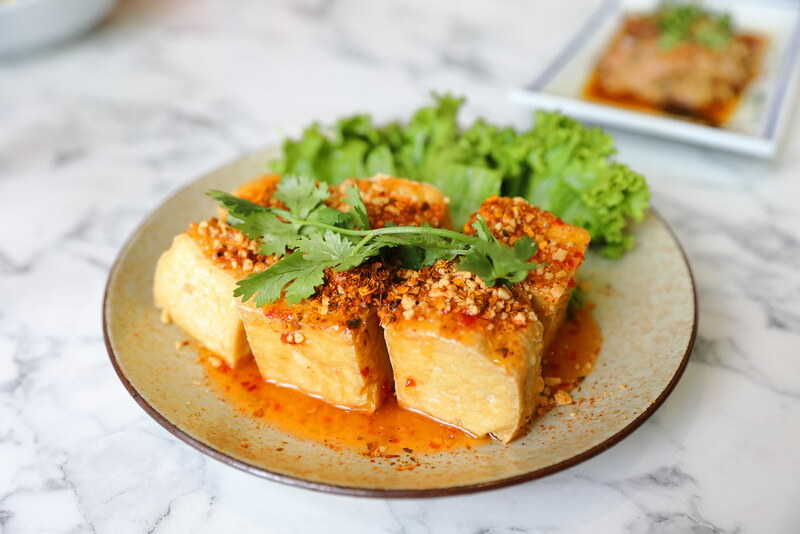 With a soft innard and crispy exterior is the Fried Tofu Cube with Thai Sweet Chilli Sauce ($8). It is drenched in a sweet chilli sauce and topped with peanuts. 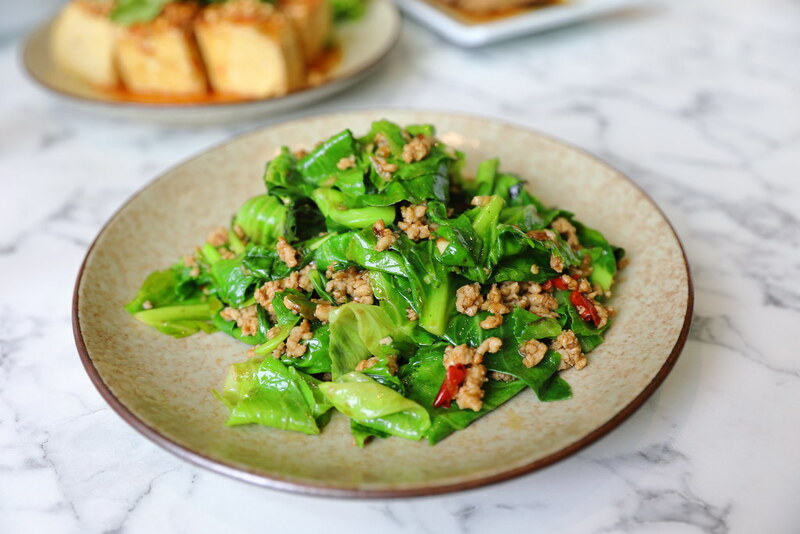 Cooked to a delectable crunch is the Stir Fried Basil Chicken with Kai Lan ($8). It also comes packed with fish sauce aroma, coupled with hint of spiciness. 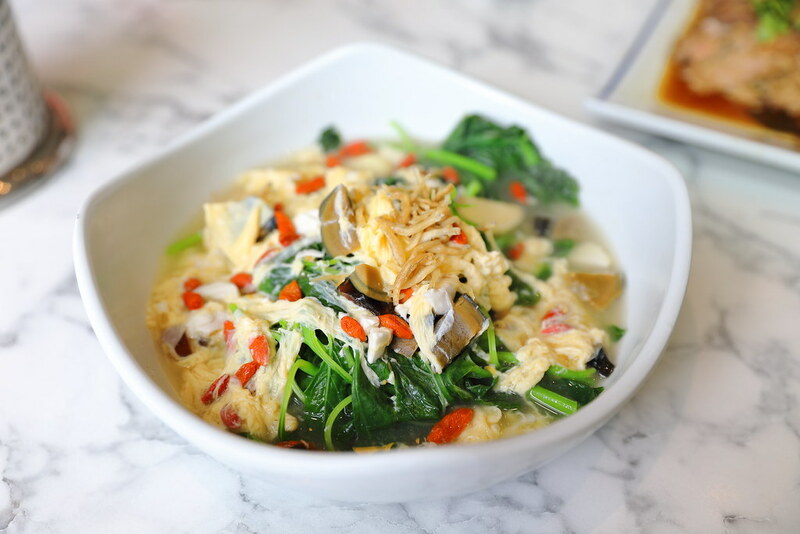 Another vegetable dish we tried is the Tri-Egg with Poached Spinach ($8). The sweetness of the spinach is brought out in the flavourful stock. I enjoyed the scrambled texture of the egg but it lacked the saltiness from the salted egg. 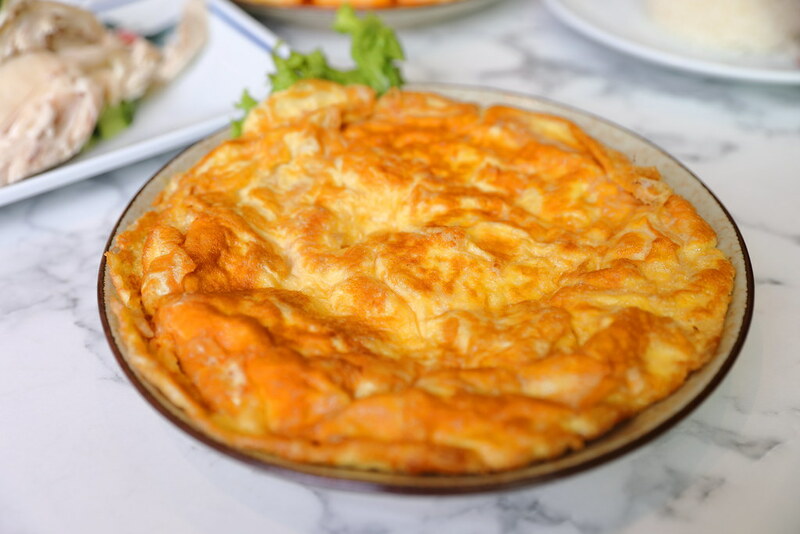 Not to be missed is the Chai Poh Omelette ($6.50). It uses sweet preserved radish instead of the salty type. What actually wow me is the fluffy texture of omelette. This is probably one of the best I have eaten. To be frank, if Go-Ang sells only the chicken rice, they probably will not made it in Singapore. Not that it is not good but there are just too many choices in Singapore for chicken rice. 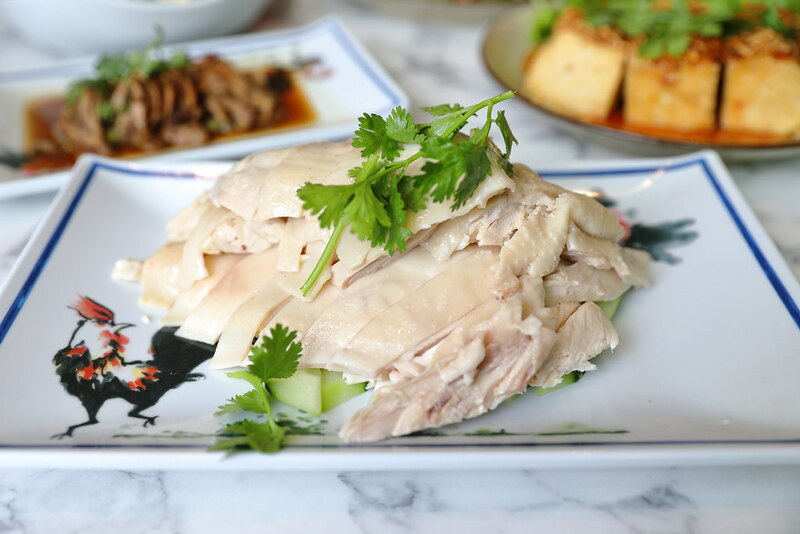 From the crowded restaurant, they probably has found the successful formula in offering other cooked dishes complementing the chicken rice, providing a communal experience.